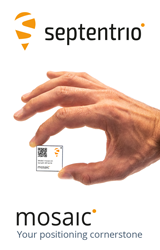 When one of PINC’s inventory drones canvasses a large ware- house, it moves up and down long aisles as it collects and relays information about the thousands of products it scans. 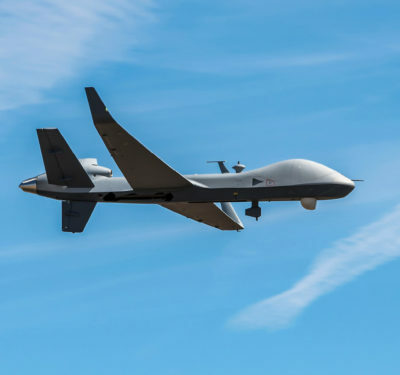 These expansive missions take time to complete—which is why it’s so important to deploy unmanned aircraft systems (UAS) capable of long flights. About six months ago, PINC CEO Matt Yearling and his team began testing a power source known for its longer endurance: a hydrogen fuel cell system from Intelligent Energy. With this system, Yearling doesn’t have to worry about the drone running out of battery life mid-job and then needing to recharge. 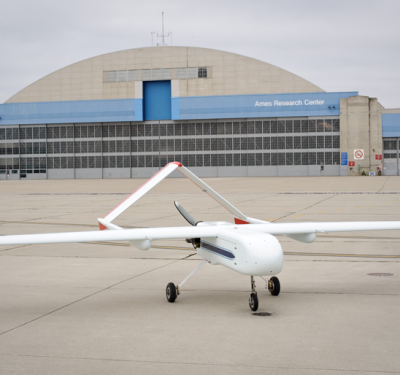 Instead of flying for 30 minutes, the hydrogen- powered prototype can fly for two or three hours, and it only takes a few minutes to refuel or swap out a tank once it’s empty. Hydrogen also pro- vides a greener, safer solution than batteries, Yearling said, and is starting to be used more and more in the material handling supply chain, making it an attractive option for PINC. 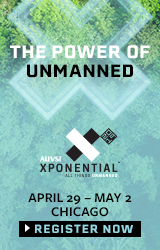 Endurance is a pain point for many UAS manufacturers and customers who need to fly for more than the 20 minutes or so many batteries allow. Other companies that rely on internal combustion engines to power their systems, such as Insitu, are interested in a more dependable solution that offers smoother operation—and hydrogen can help in that area as well. Hydrogen fuel cell powered systems are becoming increasingly popular as more companies design systems specifically for UAS, and as drone manufacturers begin to realize the benefits. There are a variety of other industries looking to this power source, which is also helping to pique interest, Yearling said. The automotive indus- try is starting to use hydrogen to fuel their cars. 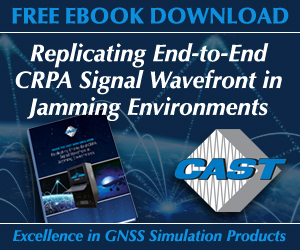 It’s also being used as a backup fuel source for cell phone towers and emergency services like railroad crossing gates, to name a few examples. 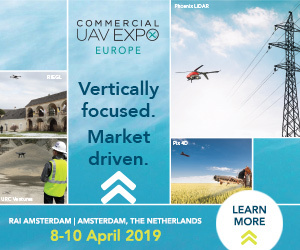 Those involved with bringing the technology to the drone industry are excited by its potential but know there are hurdles to get past before such systems can become mainstream, including establishing an infrastructure that makes hydrogen easy to obtain. 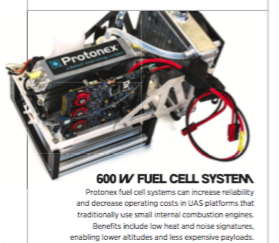 A fuel cell works like a generator, said Phil Robinson, vice president of Unmanned Systems for Protonex Technology Corp, a Massachusetts-based subsidiary of the Canadian firm Ballard Power Systems. The fuel goes in and electricity comes out. But, instead of burning gasoline, the fuel cell uses hydrogen gas, which is electrochemically combined with oxygen from the air to create electricity and water. Because the cells produce energy instead of storing energy as a battery does, there’s no need to recharge them—saving the time it takes to re- charge batteries as well as the costs associated with keeping extra batteries on hand. The energy density of the best lithium batteries is 300-400 Wh/kg, Robinson said, which means a battery that will run a 100 watt engine for 3-4 hours weighs 1 kg. Compressed hydrogen has an energy density of about 2,000 Wh/kg. So, basically, you get a lot more energy for the same weight. It’s important to keep in mind, however, that the fuel cell itself and the fuel tank have an energy density of zero, so the fuel tank must be able to hold enough hydrogen so the average energy density of the 2,000 Wh/kg hydrogen and the 0 Wh/kg equipment is beneficial, Robinson said. Most of the platforms flying today are about 1,000 Wh/kg. Fuel cells systems can only scale down so much, and work best when integrated into fixed-wing platforms, Robinson said. They also can be used in the more robust quadcopter platforms, which are the systems that weigh between 20 and 55 pounds and that have six or eight rotors. The fuel cell systems are typically too big for smaller drones. Flight time and payload capacity are among the biggest challenges Intelligent Energy Senior Vice President Julian Hughes and his team hear about when they travel to conferences—and are two issues hydrogen systems address. So while flight time will come down when you add more payload, the drone will still have more endurance than if it was powered by a battery, Hughes said. Adding more payload to these UAS often cuts the flight time to single digits. 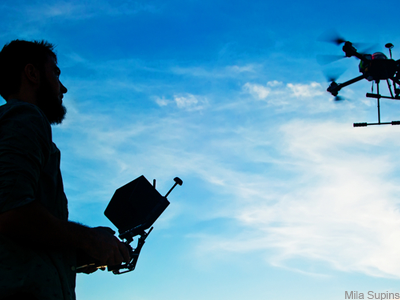 The heavier the drone, the more energy it uses. 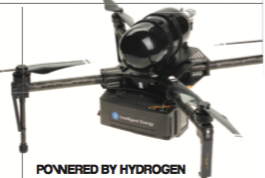 While it can be difficult to retrofit a hydro- gen system to a battery-operated drone, it can be done with the Intelligent Energy solu- tion. The company offers that option as well as a system that combines both batteries and hydrogen. Hydrogen systems are also replacing the internal combustion engines that power larger systems, mainly because they’re more reliable and less noisy, Robinson said. 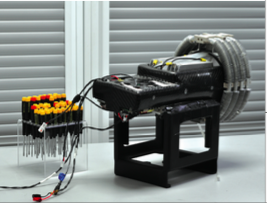 PINC isn’t the only company exploring the potential of hydrogen fuel cells. Both FlightWave Aerospace Systems and Insitu are testing these systems, one in a brand new drone and the oth- er in a proven industry staple. Startup FlightWave Aerospace began working with Intelligent Energy a few years ago after Edmund Cronin, FlightWave’s chief marketing officer, saw their system at a trade-show. 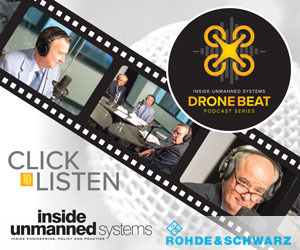 Hydrogen is being used more and more as a power source in other industries, Cronin said, so it just made sense to incorporate it into the UAS the company is creating. The team also liked the idea of working with a green technology. The Jupiter-H2 UAS will be able to carry a kilogram of payload and fly for at least a few hours. The Jupiter will have a swappable payload, Cronin said, and a bottom carbon plate that can be attached to the power source of the fuel cell. The sensors will be flown on the bottom of the aircraft. 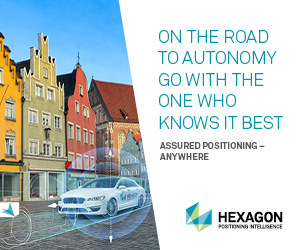 Besides the fact the hydrogen system offers longer endurance and a green energy solution, Yearling also likes the added safety it provides. Refilling fuel tanks is safer than carrying around and swapping out lithium batteries, he said, especially in the types of environments his drones operate in. Insitu has been working with Protonex for the last few years, and recently flew one of the company’s systems to demonstrate its benefits. 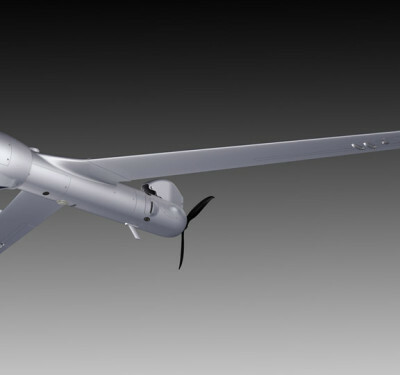 One of the biggest of those benefits is reliability, said Andrew Hayes, Director of Insitu’s Advanced Development Group. Internal combustion engines have a lot of moving parts and are pretty complicated. It’s difficult to develop an affordable engine that has the power needed to operate a UAS but that is also light enough to fit inside one. Engines must also be maintained and eventually replaced, so using a system that doesn’t need this level of attention has its advantages. Engines typically need to be overhauled every 200 hours of operation, Robinson said, while fuel cells typically go about 1,000 hours between servicing. Combustion engines also shake the plane, causing a back and forth vibration in the drone, Hayes said. This causes the sensors to shake, which could (and usually does) impact the quality of any images or location information collected during a mission. 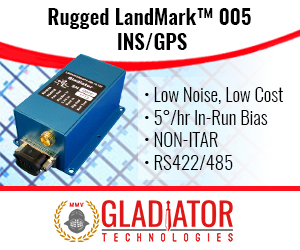 Reducing the vibration enables the system to deliver better images and improves the accuracy of GPS locations. 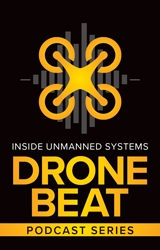 Hydrogen-run systems are also very quiet, Hayes said, making it possible for the UAS to glide into an area at a lower altitude undetected, which isn’t really an option with a drone powered by a combustion engine. 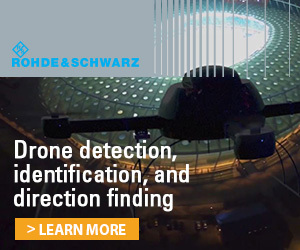 This is not only useful during military applications, but also various commercial applications such as wildlife monitoring and investigation. Insitu will now begin working with the latest fuel cell model from Protonex, which was released in December, and has plans to test it with a client interested in the technology later this year. The upgraded fuel cell propulsion system features a new membrane electrode assembly (MEA) design that increases power density. While the benefits are certainly there, supporters of these systems have one big challenge to overcome: access to hydrogen. Even though there’s plenty of hydrogen available, there’s nowhere for drone operators to go to fill up their tanks, like they would with propane or gas, Yearling said. There needs to be an infrastructure in place to support the use of hydrogen, whether it’s for cars, drones or other industries. That might mean stations where people can go to fill tanks or something that delivers full tanks to users and takes away empty ones, which is a service the fuel cell company Plug Power is already starting to provide. Basically, for this to work, hydrogen has to be widely available at the right price point. One of the reasons manufacturers like working with diesel fuel and gas is because they have high energy density, Hayes said. Insitu is working to address the infrastructure issue by creating and storing hydrogen on site. The system they’re developing would pass electricity through water to produce hydrogen, and the produced hydrogen would be stored one of two ways: liquefied or as a high pressure gas. While this will provide a short-term solution for Insitu customers, the infrastructure problem still needs to be solved on a broader scale, Hayes said. He doesn’t think that will happen until we start seeing people regularly using hydrogen to fuel their cars. Once that ecosystem is in place, UAS can tie into that. He also sees the industry gaining more interest in these systems when they begin flying over large urban areas routinely. Because fuel cells systems are more reliable than internal combustion engines, the risk for a UAS suddenly failing will be much less, which is vital when flying over populated areas. Cronin believes hydrogen is simply a better product, and eventually will be the power source of choice in a variety of areas. That’s already starting to happen, but until it’s easier to get fuel, adoption will be slow. Companies that are researching and illustrating the benefits of hydrogen will help, but it’s still going to take time to get more people on board with switching to hydrogen and to get the necessary infrastructure in place. It’s also important to work with other industries and researchers interested in using hydrogen as an alternative energy source, Knapp said. They need to show that it’s safe and reliable, and partner together to overcome the infrastructure barrier.